Anders Behring Breivik, the Norwegian mass killer, has won a lawsuit against the state for human rights violations while in prison on April 20. 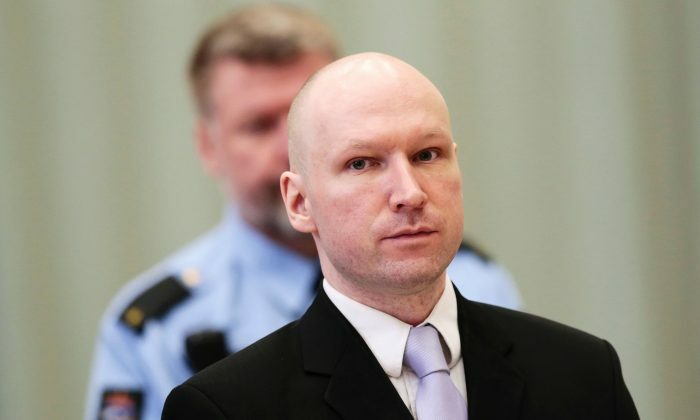 Breivik claimed that prison officials won’t let him communicate with or receive visits from other right-wing extremists. The Oslo district court said the incarceration conditions breached a law in the European Convention on Human Rights that prohibits inhuman and degrading treatment. “The prohibition of inhuman and degrading treatment represents a fundamental value in a democratic society. This applies no matter what—also in the treatment of terrorists and killers,” said judge Helen Andenaes Sekulic in her ruling, according to The Guardian. The Norwegian court dismissed Breivik’s second complaint that the government violated his right to respect for private and family life. Breivik is a right-wing extremist who was sentenced to prison for 21 years for terrorism and mass murder for 2011 bomb and gun attacks in Norway that killed 77 people. During court hearings last month in Skien prison, state lawyers dismissed his claims, and said Breivik is a dangerous inmate who would inspire other individuals to carry out attacks.